Air travelers to Washington: What have you done for us lately? What has Washington done for airline passengers lately? That’s the question prompted by two recent political scandals that have touched the tourism world. But the answer — or the lack of an answer — may be far more troubling than the alleged misconduct. Posted in The Navigator Tagged LEGISLATION, TRAVELERS, WASHINGTON4 Comments on Air travelers to Washington: What have you done for us lately? The government shutdown was supposed to be a non-event for travelers, but it didn’t quite turn out that way. When a gridlocked Congress shuttered vast sections of the federal government on Oct. 1 and furloughed 800,000 workers, its decision touched tourists in unexpected ways, from abruptly canceling a camping trip in a national park to foiling a destination wedding. It drained visitors from popular attractions, causing hotel occupancy rates to plummet and hurting other travel-related businesses. 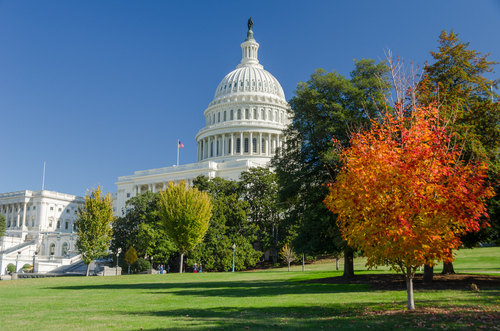 Along the way, many travelers have discovered the important — and often underappreciated — part that the federal government plays in travel. Without the government, they learned, some of the most interesting parts of the travel industry simply wouldn’t exist. “People haven’t been as aware of the government’s role in travel,” says Joshua Huder, a senior fellow at Georgetown University’s Government Affairs Institute. 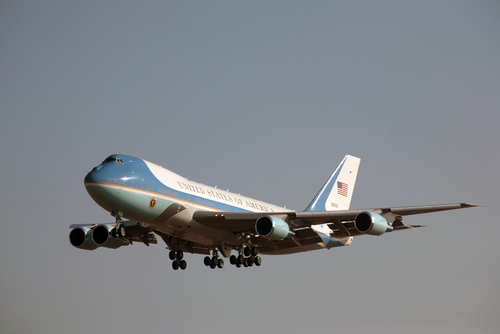 No compensation for Air Force One delay? Here’s a complaint you don’t see every day. It comes to us by way of Alex Johnston, who was flying from San Francisco to Charlottesville, Va., via Washington on United Airlines. Of course, there’s a good reason for keeping a minimum distance between Air Force One and other air traffic. There have been several close calls between the presidential aircraft and other planes in the past. Posted in Should I Take The Case? Tagged AIR FORCE ONE, DELAY, UNITED AIRLINES, WASHINGTON127 Comments on No compensation for Air Force One delay? Oops! Wrong inaugural rate at the Capitol Hill Hotel Washington D.C. Faith James likes to think of herself as a “pretty savvy traveler” but when she planned to attend the presidential inauguration in Washington next month, she couldn’t have foreseen the trouble with the Capitol Hill Hotel Washington D.C.
James is taking her 78-year-old mother up to DC to attend the festivities. They were lucky enough to get tickets from their congressman, but accommodations proved to be a little more difficult. Posted in Problem Solved Tagged CAPITOL HILL HOTEL, INAUGURATION, PRESIDENT, WASHINGTON48 Comments on Oops! Wrong inaugural rate at the Capitol Hill Hotel Washington D.C.